We recently went on an epic road trip through Montana & Wyoming. 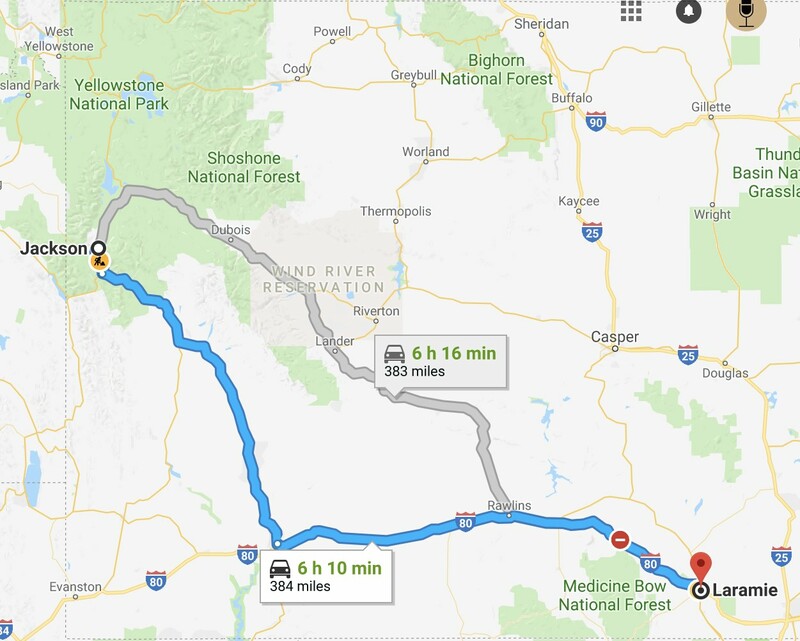 We visited Yellowstone and then Grand Teton National Park before driving East towards Laramie. 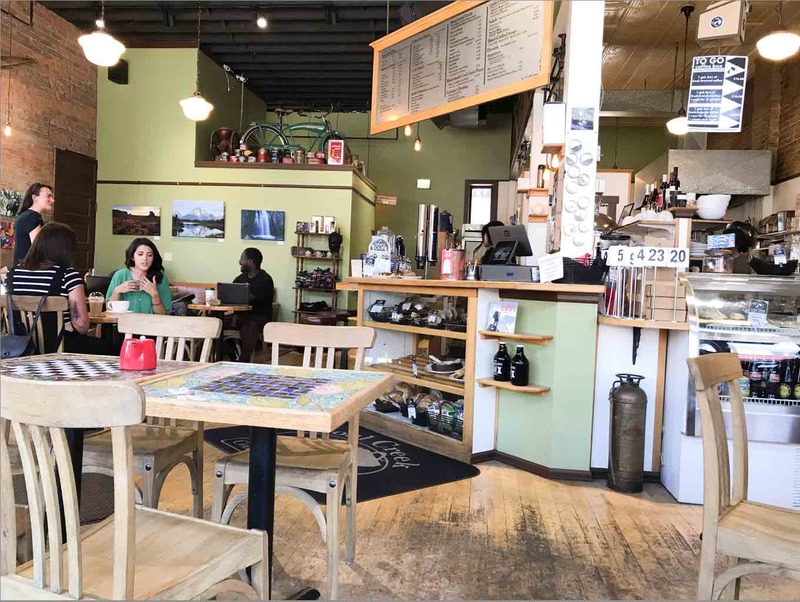 Where to Stop between Grand Teton National Park and Denver -> Laramie! Our ultimate destination was Denver, specifically Denver International Airport, so we decided to stop in Laramie. My thought was that we should get as close as possible to Denver so the next day we could have an easy time getting to the airport. There is absolutely nothing on 80 East towards Rawlins and Laramie. It’s fairly scenic going South towards 80 but once you’re on 80 it’s miserable. Our engine light came on halfway through the drive which was kind of freaky. There were also tons of semis on this highway. We made it to Laramie safely though. We stayed at an Airbnb right next to the University of Wyoming. It was located above the detached garage at one of the neighboring houses and it was super cute. The Airbnb was only $100 for the night and it was perfect for our needs. 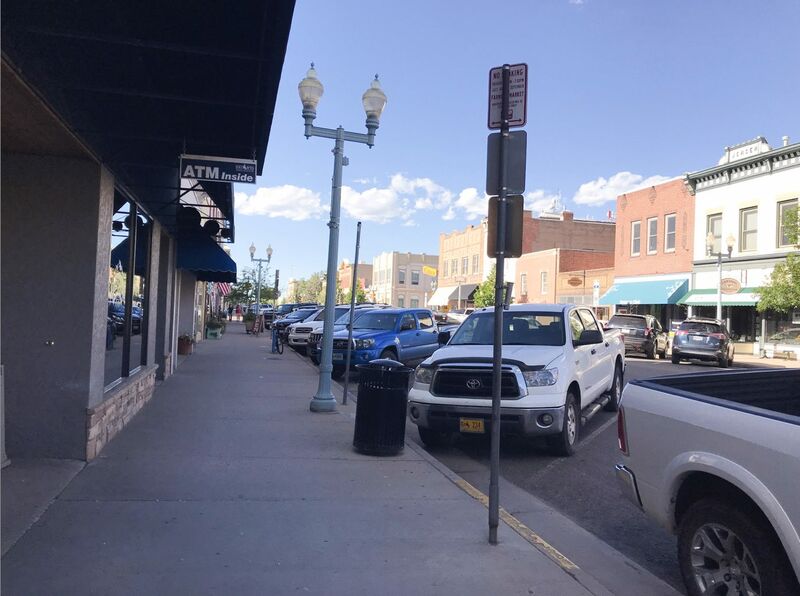 We could walk to downtown Laramie in about 6 blocks. 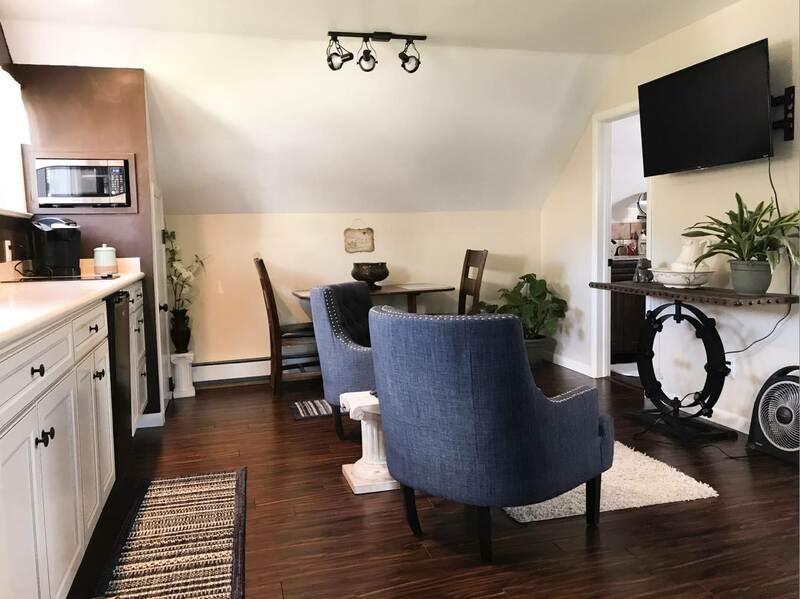 We pretty much always prefer Airbnbs to hotel rooms. 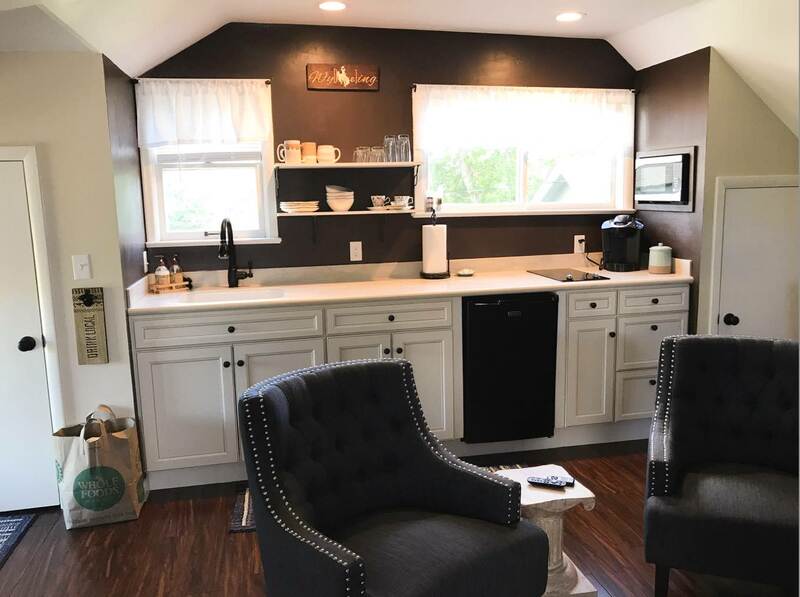 If you haven’t tried Airbnb, here’s a link that will get you $40 off your first stay. I hosted our first mastermind session for our podcast at the Airbnb! (If you’re new here, I co-host the FIRE Drill podcast which is a podcast about financial freedom). The only downside to this specific Airbnb was the heat!! Laramie is super hot in June and the loft had no AC. I guess that is common for Laramie houses to have no AC. It luckily cooled down around midnight but there was no way we could have fallen asleep until then. 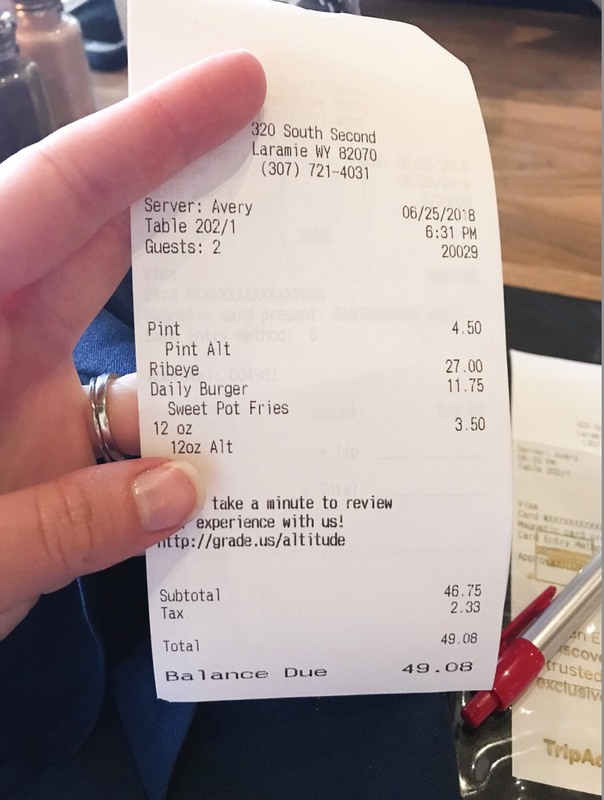 We walked to downtown Laramie and ate at the Altitude Chophouse & Brewery for dinner. 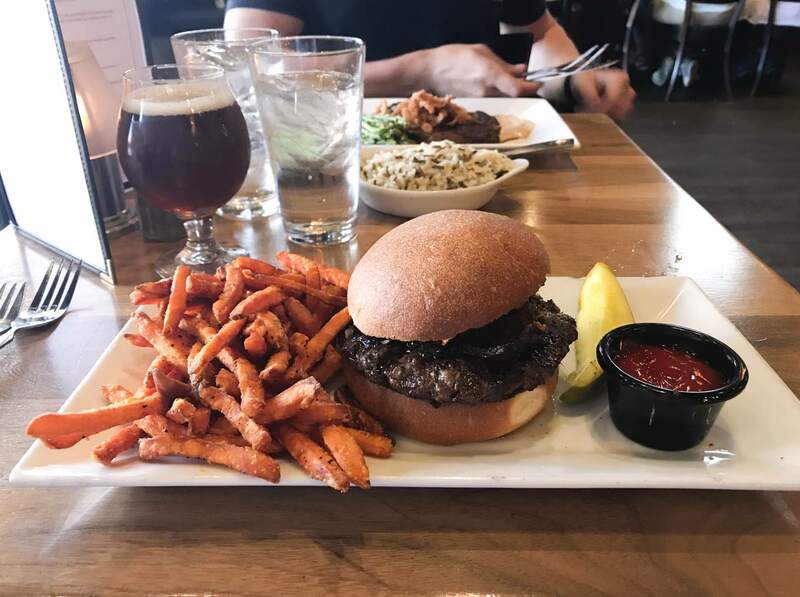 I tried their award winning amber and had the PB & J burger which was one of the best burgers I’ve eaten in my life. No joke. The prices were super reasonable, compared where I live now. My husband had to go big with the ribeye but he deserved it. He was a champ driving the entire road trip. We were very pleased with our meal. The next day we decided to wake up early and grab some breakfast before hitting the road. 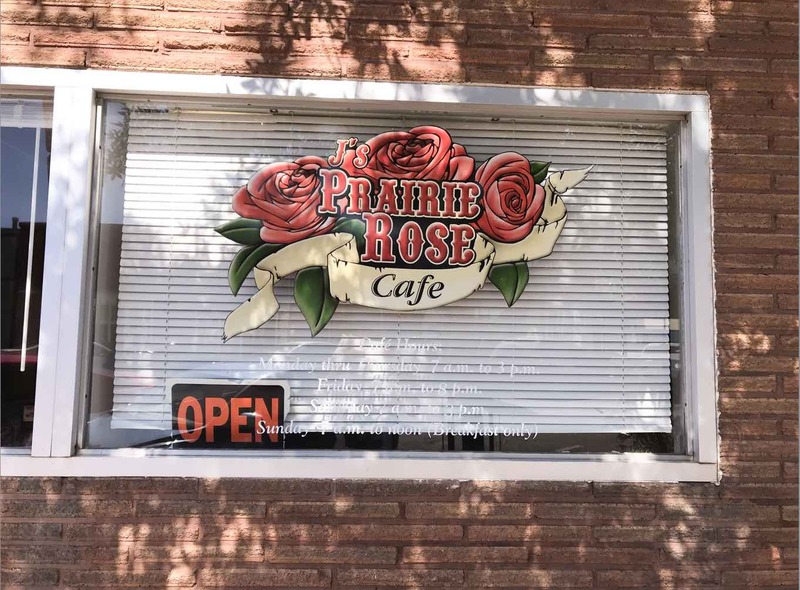 We’re used to fancy gourmet breakfast places since that seems to be all they have in my city and the Prairie Rose was nothing like that. 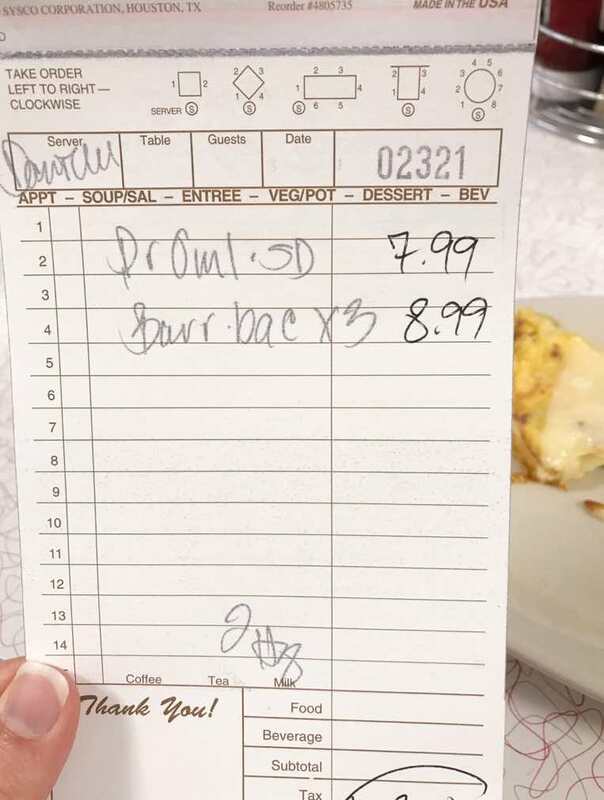 It was a diner right in downtown. 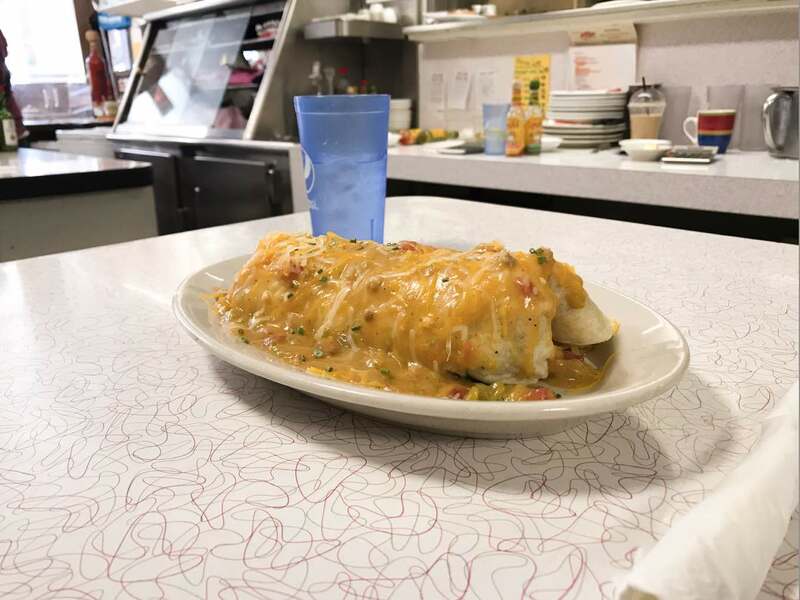 My husband got the breakfast burrito and I got some type of omelette. Both were good. The prices were good too. Who needs avocado toast? We had some time to kill before checking out of the Airbnb so decided to check out the little shops downtown. 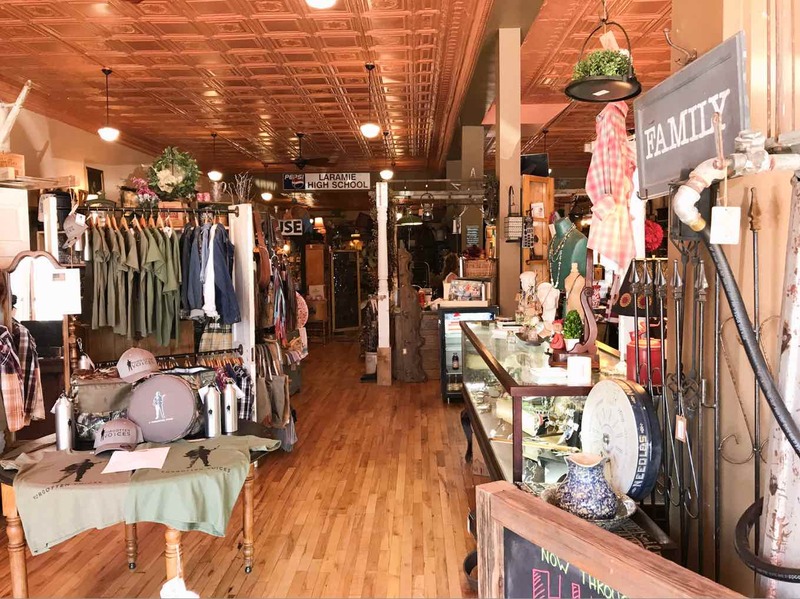 The Bent & Rusty had the Wyoming version of farmhouse style home decor and I loved it. 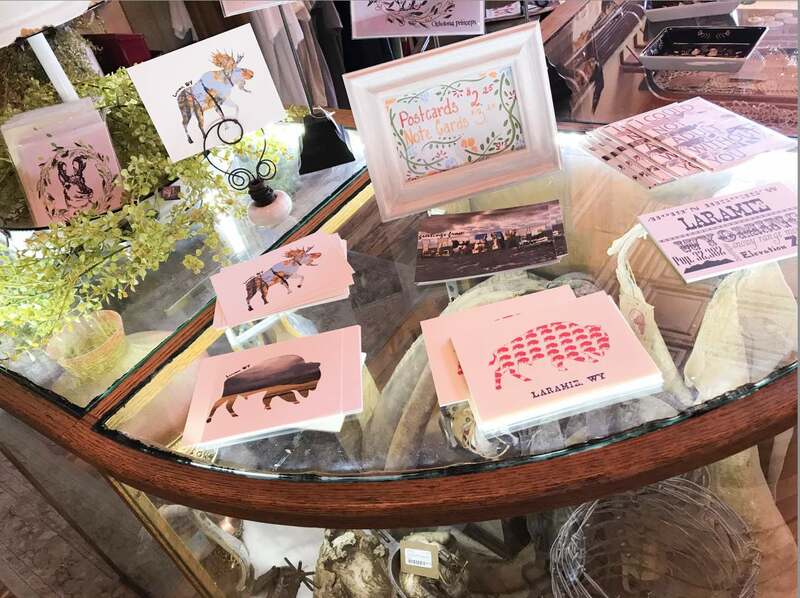 I was obsessed with these cute little Wyoming cards. My co-host, Gwen, is looking for ideas for her Etsy shop and she’s started to make mugs with stained glass states on them. Perhaps she can make some sort of state animal designs like these cards. I took this picture so that I can show her. Hey Gwen! Look at these!! Poppy’s was my favorite shop downtown. 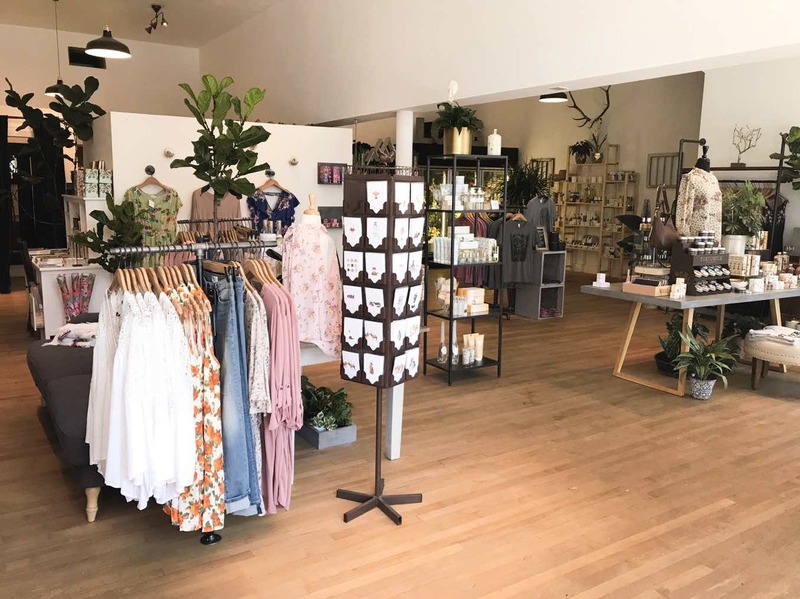 It’s half florist and half women’s boutique with a really cute selection of clothing, accessories, candles, beauty & gifts. I didn’t even notice they sold flowers when I was in there but now I love it that much more. 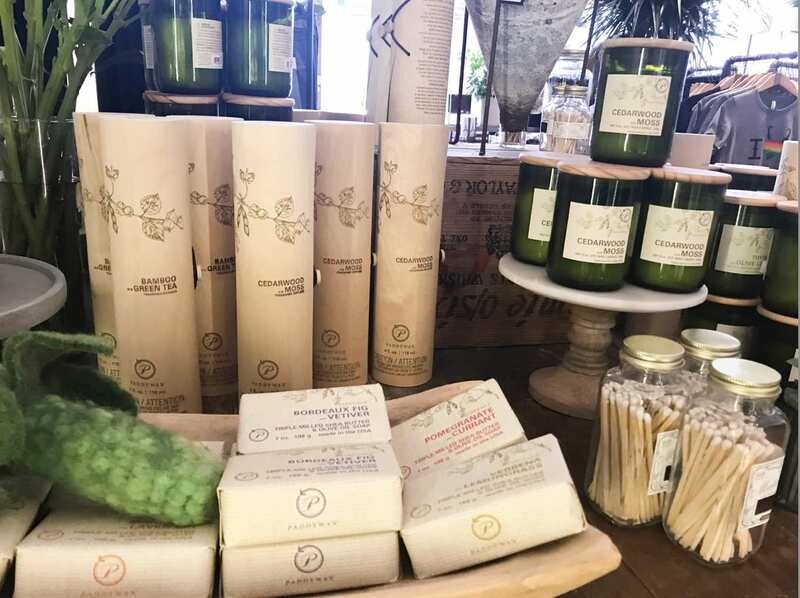 I purchased this Cedarwood & Moss soy candle for my friend in Colorado who I have not seen in a long time. She and her husband are helping us renovate our house and we are very grateful. I think I want to buy this candle for myself because it smelled wonderful. They had cold brew!! That’s all I need to be happy and have a great day. I loved the mosaic coffee shop tables too. I definitely wanted to pull out my computer and blog for a bit but we had to get going and check out of the Airbnb. 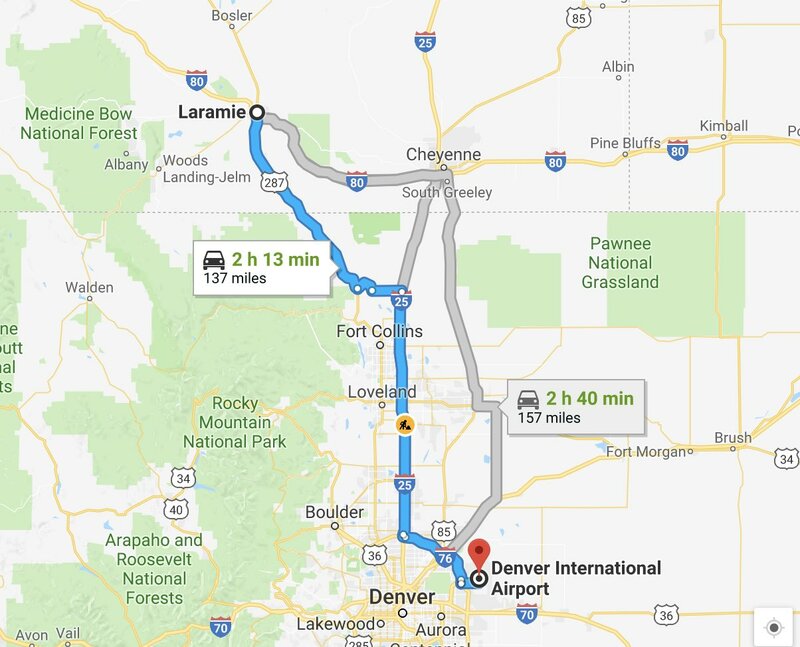 Getting from Laramie to Denver International Airport was a breeze. Just over 2 hours! We decided to take 287. Note: There is one part right before you get on 25 at Fort Collins that I was glad we had an SUV. It was also 99 degrees out (actually) so good thing we had filled up two bottles of water before the trip. We didn’t have time to stop on the way to the airport and given it was so hot, we just went straight to DIA. We figured we would hang out and relax before the flight. The Timberline Grill in Concourse C will let Priority Pass members (and guests) get $28 off their bill. 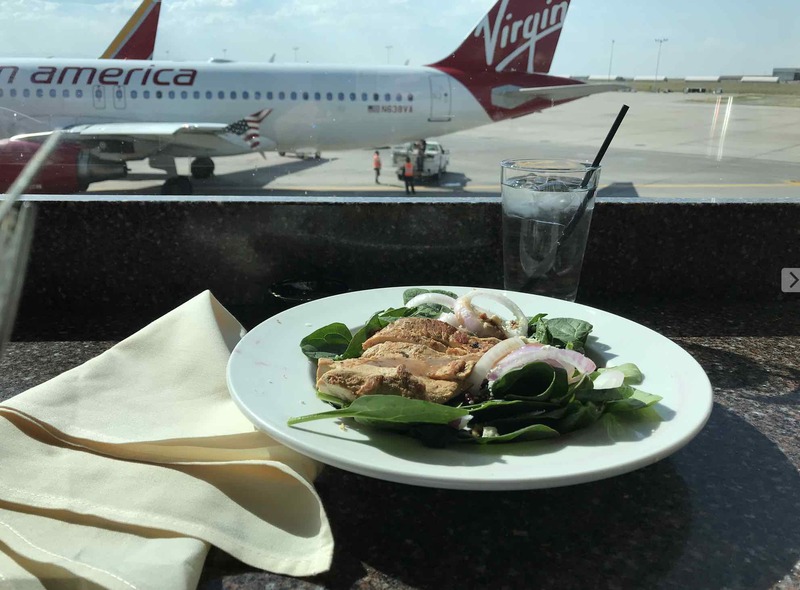 Usually the Priority Pass will let you into an airport lounge for free (with free food, Wifi, & Alcohol) but I didn’t realize you could get free restaurant food too at some airports. AWESOME. I got the Priority Pass for free after signing up for the Chase Sapphire Reserve credit card. I also got 100,000 bonus points for signing up for the credit card (I think they only over 50,000 now but that is still great). This is my second Chase Sapphire card. I also have the Preferred. Both have allowed me to travel for free for years. Overall it was a great end to an epic road trip. 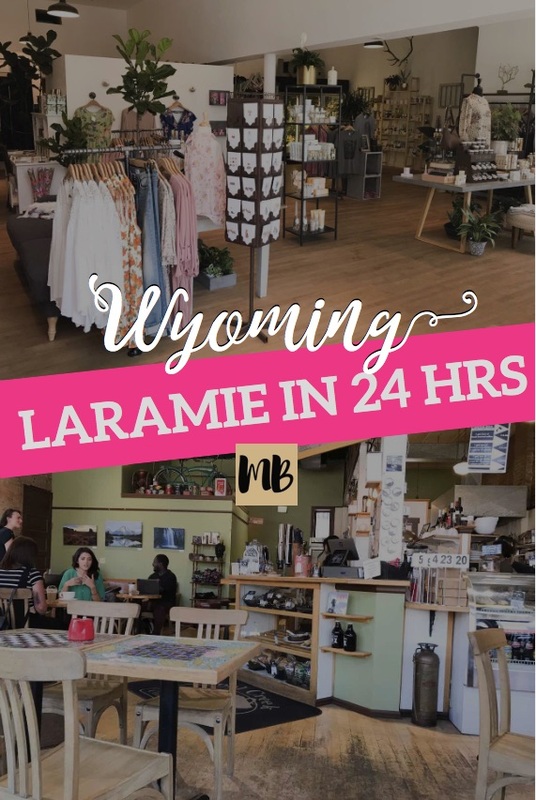 Have you visited Laramie, WY before? What did you do?